Town of Amesbury, Massachusetts, Vital Records of Amesbury, Massachusetts to the End of the Year 1849 (Topsfield, Mass. 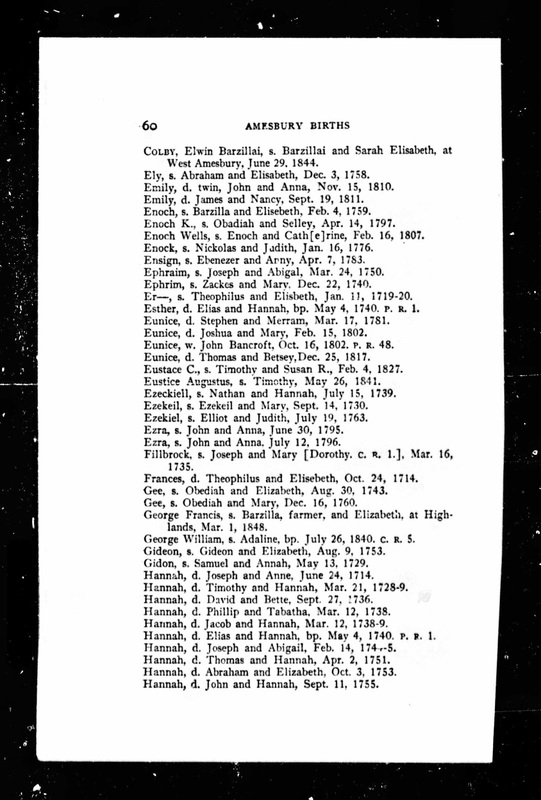 : Topsfield Historical Society, 1913), Births, page 60, Hannah Colby, born 1744-5 entry. Hannah Colby (1745-????) 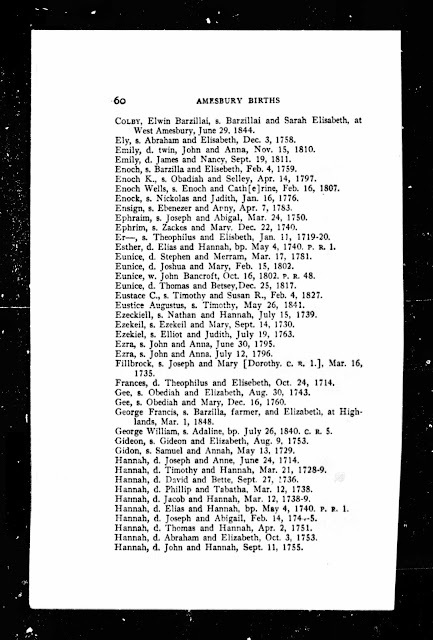 married John Underhill in about 1767, probably in Chester, New Hampshire, and they had at least six children, including my 4th great-grandfather, Amos Underhill (1772-1865), who married Polly Metcalf (1780-1855) in 1801.